HAPITM provides a full set of APIs for secure authentication, file access, integration with cloud file storage services such as Box and Dropbox, access to internal databases, internal printers, etc. 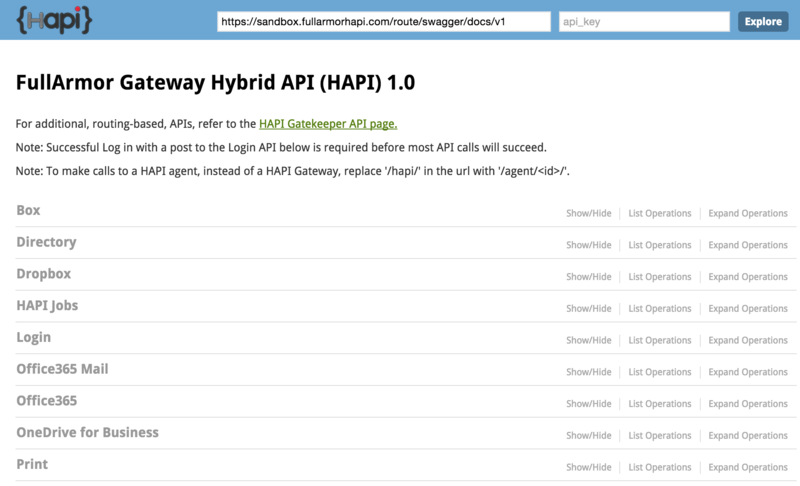 HAPITM hybrid APIs provide sample templates for all common development environments such as HTML, IOS/Android, MacOS, and Windows. This enables any developer a secure and scalable way to access on-premise resources from any device or cloud service.